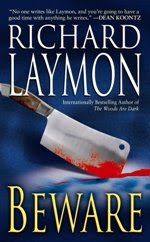 New Leisure Release of Richard Laymon's BEWARE! I have a love-hate relationship with the work of Richard Laymon. I mostly really enjoy his work, but every so often one comes along that makes me growl and wish he'd done a re-write or two. A few of his best are In the Dark, The Travelling Vampire Show, One Rainy Night, and Night in the Lonesome October. But there are also a few that just don't quite measure up to his usual standards; Come Out Tonight and To Wake the Dead are good examples of Laymon's mediocre stuff. Elsie knew something weird was happening in her small supermarket when she saw the meat cleaver fly through the air all by itself. Everyone else realized it when they found Elsie on the butcher’s slab the next morning—neatly jointed and wrapped. An unseen horror has come to town, leaving a blood-drenched trail of carnage in his wake. And his victims are about to learn a terrifying lesson: what you can’t see can very definitely hurt you. Peter Mallory is on the verge of obtaining everything he has ever wanted. He owns a business, he is a respected resident of the community, and he is set to marry a beautiful and intelligent woman. He is in a good place, but when an old associate appears at his bait shop Mallory’s past threatens everything he has built. Mallory was a lieutenant in the Florida Mob when he walked away six years earlier and now the boss wants him back. He doesn’t want to go, but he wants his past to stay where it is and when the boss threatens to share a few details with his fiancée he unwillingly agrees. When he arrives he finds the Don a shadow of his former self. He has aged and lost control of his own turf. He no longer protects territory from rival gangs and even worse old associates are being murdered one by one. After each murder a news clipping is delivered that tells the story of a murder he and the others committed years earlier. It’s getting to the Don and he needs Mallory to look into it and figure who it is and stop it. Baby Moll is the best reprint Hard Case Crime has released. It was originally published in 1958 as by Steve Brakeen and while it is very much a product of its era it has lost little of its impact. The story is told with a sparse and economical style that reminded me very much of Michael Crichton’s early John Lange novels, but the mystery and plotting are one step beyond what Crichton was doing in the 1960s. The characters are perfect—the aging mobster is drawn with a brilliantly nuanced mixture of menace, sorrow, bluster and loss. The supporting cast is an oddball group that Mr. Farris effectively uses to clutter the mystery and build tension. Mallory never quite gets a handle on their motivations or even who a few of them truly are. The mystery is structured perfectly; it is a balance of hardboiled American mixed with a flavoring of an intricate whodunit with a dash of suspense novel thrown in for good measure. 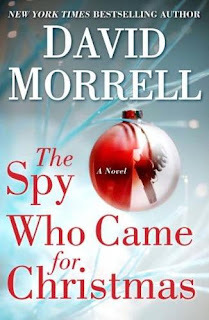 The whodunit is the mystery itself—the diverse cast and their conflicting motives interlaced with the careful release of clues and even a few red herrings to keep both Mallory and the reader off-balance. But it is presented and stylized as a down and dirty hardboiled novel that will appeal to anyone who enjoys an old style suspense novel. Earlier this week Fresh Air on NPR re-broadcast a 1987 interview with novelist James Crumley. It was only nine minutes and I wish the entire interview had been aired, but alas it was still interesting. One of the more poignant discussion topics was that Crumley would have liked his novels to have been published in mass-market rather than the more literati accepted trade-paperbacks. What he writes is more appropriate for that format, and would have found its natural audience. It was a terrific interview. To hear it go Here. I saw a great film this weekend. It was a crime thriller with a very modern noir feel—a bit nihilistic, and very, very dark. It has the pacing and feel of a tight novel with a steady and competent—at times very beautiful—cinematography. I loved it, and absolutely recommend it. The title: Transsiberian. It is directed by Brad Anderson. He also directed the terrific Session 9, and the best Masters of Horror episode “Sounds Like”. It was written by Anderson and Will Conroy. It stars Woody Harrelson, Ben Kingsley, Emily Mortimer, and Kate Mara. May 1957. Baby Shark—a former pool hustler turned Texas private eye—is backup in a ransom deal. Her partner, Otis Millett, is the front man in the cash for girl exchange they were hired to do by a powerful Texas bootlegger. His mistress found trouble in Oklahoma that ended with a ransom demand. It is planned to be a simple deal, but Baby finds trouble in the parking lot of the seedy tavern where the switch is to take place and when she ducks it she finds Otis inside taking a beating from a couple heavies. Baby is quick on her feet and it doesn’t take long for her figure the deal and wedge it open, but it is only the beginning. Otis is certain they were betrayed, but the real question is why. And when thugs and hired guns keep coming at them they decide they need to figure the scam, and quickly, if they’re going to stay upright. 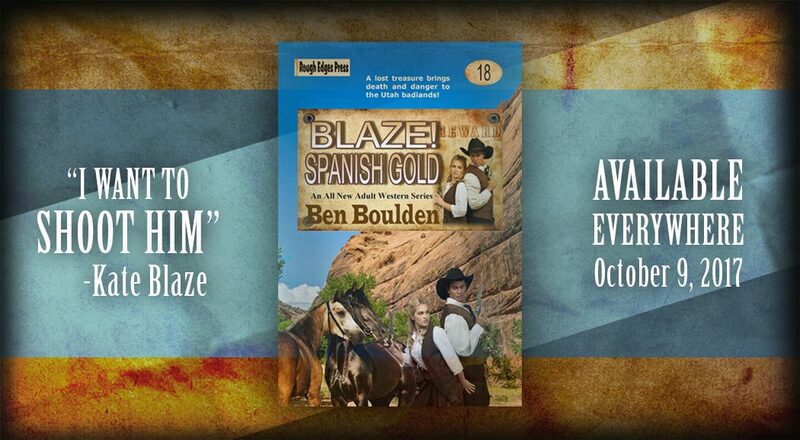 The plot is very nearly pitch-perfect as it takes the action and reader across the sprawl of Texas and Oklahoma. The characters are neatly defined and uniquely developed with a seemingly simple style and limited backstory; enough background to develop the characters without slowing the story. The major players—Baby and Millett—are cast in a dark filament glow that paints them somewhere between villain and hero. And smartly gives them foibles, weaknesses and more than a few strengths. They are both very much worth rooting for. 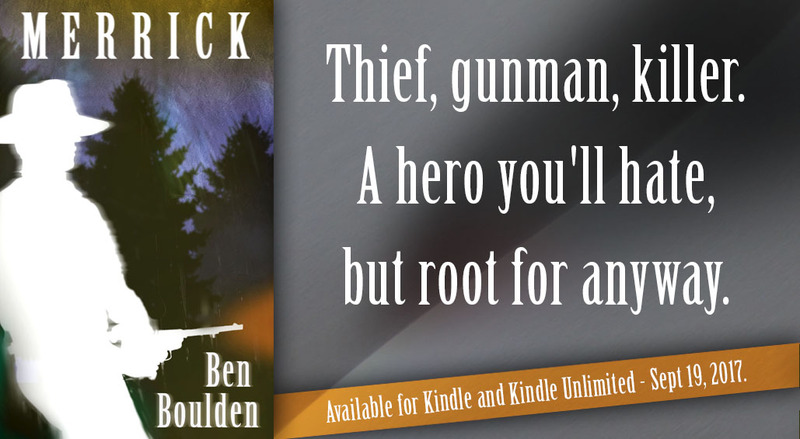 The overall tone and style of the novel has the feel of an old black and white film mixed with the ultra-violent sentimentality of modern noir. The subject matter is far from unique, but Mr. Fate gives it a fresh and invigorating narrative that amps it past the average crime thriller. 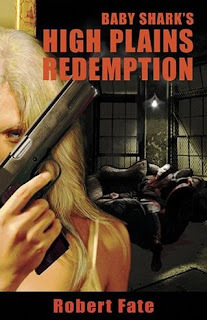 Baby Shark’s High Plains Redemption should be high on every crime reader’s list for the simple reason that it is damn good. Note. Baby Shark’s High Plains Redemption is the third novel to feature Baby Shark—real name Kristin Van Djik—and the third novel written by Robert Fate. The first two are: Baby Shark and Baby Shark’s Beaumont Blues. Earlier this year the film adaptation of Jack Ketchum’s novel Red screened at Sundance Film Festival—a festival that’s pretty much in my backyard, but I was either too lazy or too tired to make the thirty-five mile drive and stand in line for tickets to see it. Maybe it was the standing-in-line part that kept me from seeing it. Probably. I found the trailer for Red this morning and it looks pretty good. I probably should have bitten the bullet and seen it at Sundance…. If the trailer is any indication it appears to be a faithful adaptation of the novel. It was directed by Trygve Allister Diesen and Lucky McKee, written by Steven Susco, and stars Brian Cox and Tom Sizemore. The film Man on Fire is somewhere—don’t ask me where—in my top three or four favorite action films. 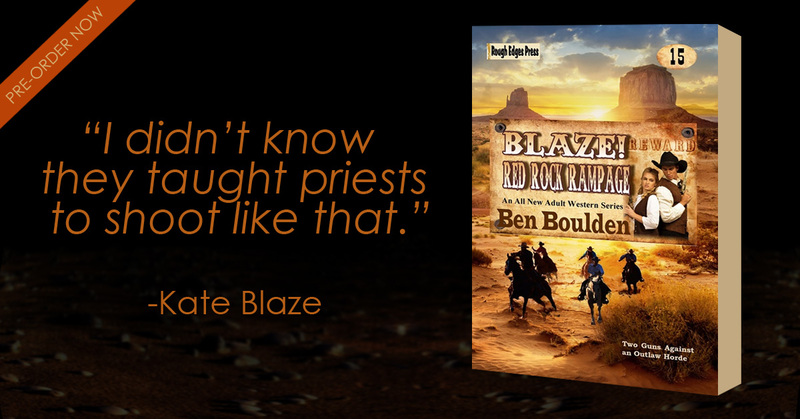 It is raw, brutal, violent, and redemptive. In that order. It was directed by Tony Scott in a schizophrenic style—cut up, jittery and anxious with a dampened monochromatic look that conceals the insanity behind a confused and disrupted vision. It is the second of three stylistically related films by Tony Scott: the first is Spy Game (a terrific spy thriller) and the third, by far the weakest and really downright disappointing, was Domino. The stories are not connected, but Scott's choppy and jittery style are evident in each, and progressively get more so with each film until it breaksdown into a nearly unwatchable mess with Domino. Man on Fire is based on a novel by A.J. Quinnell—a novel I’ve never read—and it rocks from the opening scene to the final. If you haven’t seen it, do—and if you have, see it again. I've been meaning to get a link to this for several days and here, finally, it is. Dave Zeltserman, a writer who specializes in dark crime and mystery, is offering seven short stories in .pdf format for the low, low price of free. That is my kind of price. The stories are mostly reprints, with one exception, that appeared in anthologies and fiction magazines. Three of the stories appeared Alfred Hitchcock Mystery Magazine and Ellery Queen Mystery Magazine, probably the two premier mystery magazines still being produced. If you are already a fan of his work enjoy, and if you haven't been introduced to his work yet, you should try him out. Click Here to go straight to the collection. Click Here to go to Dave's blog. A NOTE: Dave Zeltserman's novel Small Crimes is scheduled for release in October and it has been getting rave reviews. I know it's on my reading list. The year is 2022. The world economy has been destroyed by a lethal computer virus called PeaceMaker. It wiped out the economic infrastructure of the Internet and its ancillaries. The government over-reacted to the crisis by banning the development of most new technology, but the world population yearns for that technology, which has created a vast and powerful black market for everything from computers and software to robots. There are three major players—the government, which tends to be a puppet of the other two players, an organization called The Domain—a group of scientists, gangsters, and business-types who create, manufacture, and distribute technology on the black market—and the Church of Natural Humans, which is a militant group opposed to all technology. The battle for dominance is played-out on an international scale, but it is interspersed with the story of David Brown, the son of the creator of the PeaceMaker virus, as he desperately tries to uncover the truth of what his father did and why he did it. The plotlines neatly converge at the climax and overall the story is interesting, exciting and quick. The characters are under-developed, but each fulfills its purpose within the scope of the story. Mr. Ronco does an admirable job of creating the rivalry between the competing gangs. The Church of Natural Humans is developed as nothing more than an ideological terrorist group. This is best illustrated by the inane and mind-numbing prayers and chants—My mind and body are human. My soul has been altered by technology. We will destroy the Devil and protect Earth. The Domain is cast in a marginally more favorable light, but it also has its share—most of the members really—of thugs, tyrants, crooks, and would-be despots. Interestingly the most human and likable of the characters in Unholy Domain are the robots built by The Domain. They have a limited role in the novel, but they are likable with an innocent grace and pure emotion. 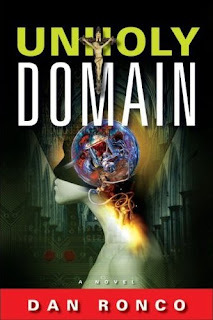 Unholy Domain is a mixture of science fiction and modern thriller, and it has the strengths and weaknesses of both. The weaknesses: The plot and motivation of the characters is loose and at times—although not often—the technology and back story bog down. The strengths: It has the fast pace and plotting of a thriller with the insight of a social based science fiction tale. It contains some interesting insights into both modern religion and technology. There are no clear moral judgments made, but rather it leaves the reader to decide which power is the lesser evil. Unholy Domain will not appeal to everyone, but if you enjoy a morally ambiguous social science fiction tale mixed with a jolt of James Patterson-style thriller you will likely find it pretty darn intriguing. 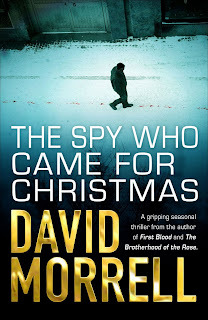 The action occurs in a snow storm on Christmas Eve as a wounded spy holds a precious object under his parka and tries to escape from three very dangerous men who chase him along a street filled with holiday revelers. Bleeding, the spy seeks refuge in a house that he thinks is deserted, only to discover that it is occupied by a woman and a twelve-year-old boy, to whom he fears that he has brought death. As the men outside prepare to attack the house, we learn why the spy has the baby and why his pursuers will stop at nothing to get their hands on the child. We also learn about the remarkable bond that forms between the spy, the woman, and the twelve-year-old boy. There's plenty of suspense, but there's also a moving theme about family and redemption. The US edition cover art has changed from the ARC cover I posted earlier [click Here]--the background color has changed from red to blue. It gives it a colder and gloomier feel, more like winter. I like it. The British version is pretty cool too. I like the bloody trail the gentleman is following through the snow. In fact, the British version might be better...maybe.